Discover two of Singapore's iconic attractions with the Singapore Flyer and Gardens by the Bay package! Good value experience for adults and children. Flyer offers incredible views of Singapore while Gardens by the Bay is simply a must-see attraction! Get tickets hassle-free to two of Singapore's most iconic attractions and enjoy relaxing visits to these must-see destinations! 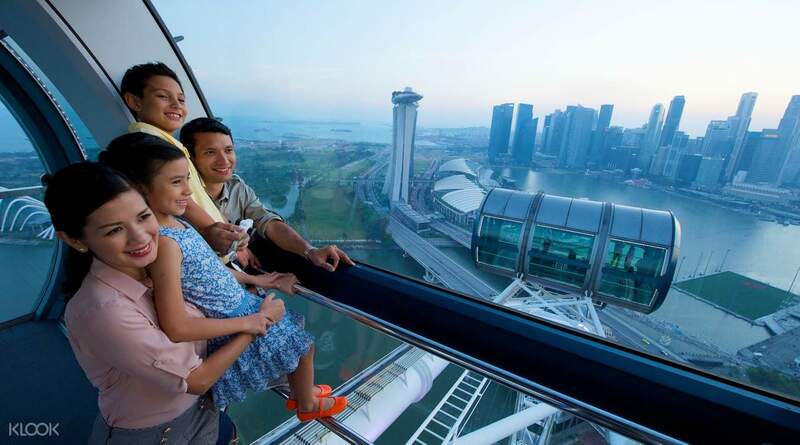 With the Singapore Flyer ticket, you can witness the breathtaking and panoramic views of the city, including iconic landmarks such as the Singapore River, Raffles Place and Merlion Park. Rise up to 165 meters above ground level and get a stunning bird's eye view of the entire city, perfect for impressive selfies and unbeatable visuals of the skyline and the neighboring Indonesian Spice Islands! 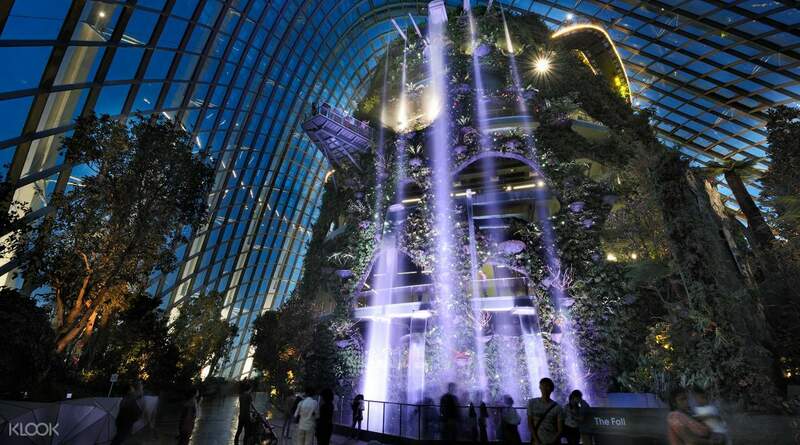 Step into a world of eternal springtime at Gardens by the Bay, where you'll visit the Flower Dome and see thousand-year old olive trees and unusual baobab trees, as well as the Cloud Forest for the world's tallest indoor waterfall. You'll also get access to see the iconic Supergrove Trees and to the desert-like landscapes of the Sun Pavilion. 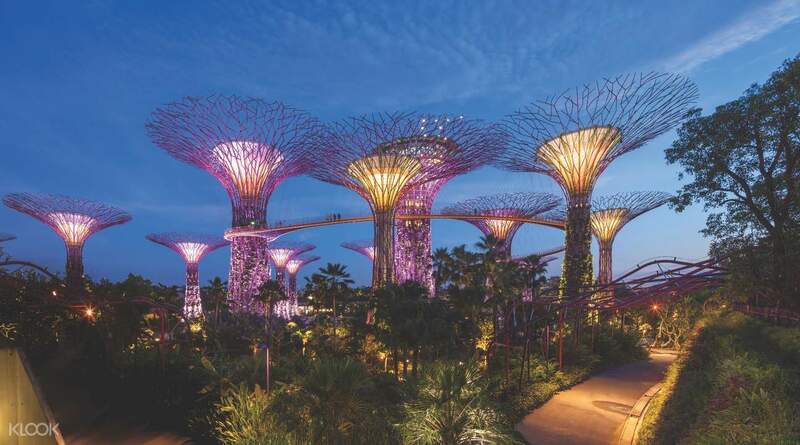 Book the Singapore Flyer and Gardens by the Bay package at Klook to get huge discounts! A must experience, both the flyer and garden by the bay. I especially loved the garden domes which, during our visit, featured a great 'tulipmania' and a European exhibit. A great way to know other cultures as well. The light show was amazing. It takes about half a day, until evening to visit all three attractions. A must experience, both the flyer and garden by the bay. I especially loved the garden domes which, during our visit, featured a great 'tulipmania' and a European exhibit. A great way to know other cultures as well. The light show was amazing. It takes about half a day, until evening to visit all three attractions. it a great experience all in all! although the singapore flyer was looking a bit neglected and there was so little tourist going here... the gardens by the bay was great! it was jammed pack full of people! experiencing the light show and gardens were worth it!!! it a great experience all in all! although the singapore flyer was looking a bit neglected and there was so little tourist going here... the gardens by the bay was great! it was jammed pack full of people! experiencing the light show and gardens were worth it!!! Phenomenal views from the Singapore Flyer, earlier in the afternoon was closed due to thunder and wind. It was clear and partially sunny when my timeslot rolled around. As for Gardens by the Bay, the work breath taking comes to mind. In all cases, the ease of using the KLOOK vouchers....so easy! Phenomenal views from the Singapore Flyer, earlier in the afternoon was closed due to thunder and wind. It was clear and partially sunny when my timeslot rolled around. As for Gardens by the Bay, the work breath taking comes to mind. In all cases, the ease of using the KLOOK vouchers....so easy! ice cream (gelato) is delicious and rich. we really appreciated the arrangement especially under the hot weather. Singapore Flyer is relaxing and gives an excellent view. Flower Dome had a special sakura festival when we were there, which was nice. the place is air conditioned so very comfortable. also it's covered so no worry of rain. Much variety in flowers to see. Cloud Forest was impressive. not as much to see but still educational. the light and music show is decent. People just sit or lie on the ground to enjoy the show. we went about 45 min early and found good spots. ice cream (gelato) is delicious and rich. we really appreciated the arrangement especially under the hot weather. Singapore Flyer is relaxing and gives an excellent view. Flower Dome had a special sakura festival when we were there, which was nice. the place is air conditioned so very comfortable. also it's covered so no worry of rain. Much variety in flowers to see. Cloud Forest was impressive. not as much to see but still educational. the light and music show is decent. People just sit or lie on the ground to enjoy the show. we went about 45 min early and found good spots. Gardens by the bay is a superb experience to witness the best flora from across the world. the flower domes houses the best flowers, plants and succulents (cactus). this is a complete indoor dome in air conditioned temperature. Some of the flowers are rare and unseen. Cloud forest has a beautiful made waterfall and the entire structure is draped with creepers around it. the icey mountain look great. the super trees look great, especially at night because of the lights. Singapore Flyer provides you a view of the entire city and takes about 40 minutes to complete the entire trip. its an very good experience to witness this. 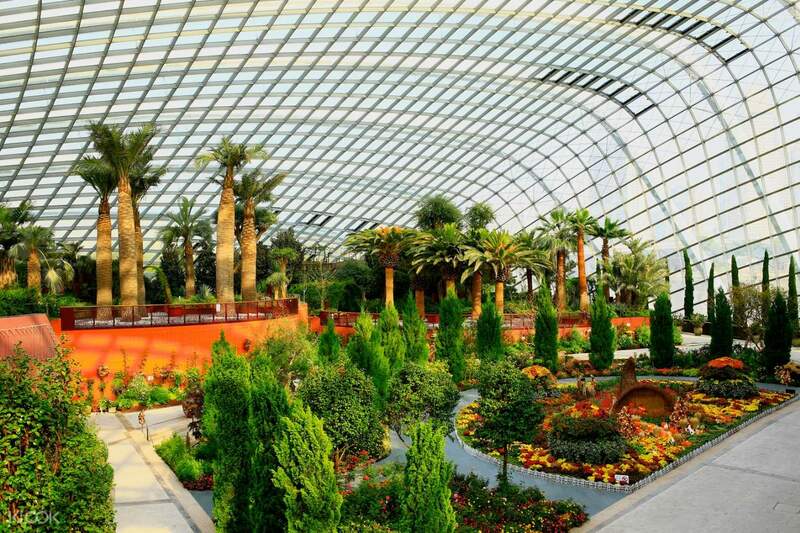 Gardens by the bay is a superb experience to witness the best flora from across the world. the flower domes houses the best flowers, plants and succulents (cactus). this is a complete indoor dome in air conditioned temperature. Some of the flowers are rare and unseen. Cloud forest has a beautiful made waterfall and the entire structure is draped with creepers around it. the icey mountain look great. the super trees look great, especially at night because of the lights. Singapore Flyer provides you a view of the entire city and takes about 40 minutes to complete the entire trip. its an very good experience to witness this. The best experience ever. We went to the flyer by 1130pm and reedem the flyer and gardens by the bay tickets with klook staff near gelatissimo. The staff very friendly and easy to redeem. The view was awesome from the top and we can see all the city garden sea clearly. We took 45min at flyer to enjoy the view then we went to ocbc skyway and gardens by the bay. We really enjoy the light show on the supertree groove with soo many lights blinking follows with the music play and very facinating. Must recommended. The best experience ever. We went to the flyer by 1130pm and reedem the flyer and gardens by the bay tickets with klook staff near gelatissimo. The staff very friendly and easy to redeem. The view was awesome from the top and we can see all the city garden sea clearly. We took 45min at flyer to enjoy the view then we went to ocbc skyway and gardens by the bay. We really enjoy the light show on the supertree groove with soo many lights blinking follows with the music play and very facinating. Must recommended.